Do you want to win one of next year’s sudoku calendars with over 300 of the world’s highest quality Sudoku produced by us for the The Times? All you need to do is solve the Samurai Sudoku and submit your entry online for a chance to win. 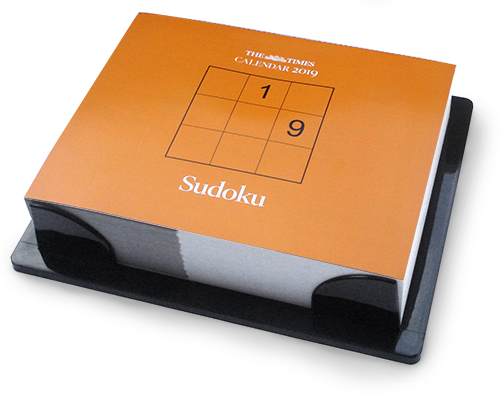 You can even make your selection from a choice of our Sudoku books!